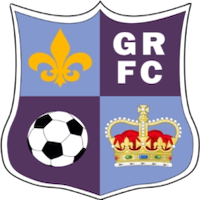 Today (Thursday) the Football Association ruled that Godmanchester Rovers had fielded an illegible player in their 1-0 fourth round victory against Sporting Khalsa 19 days ago. Chris Hyem, booked in two previous rounds, should have been suspended as per a new rule introduced at the start of the season. The FA have, as a result, removed Godmanchester from the competition and reinstated Sporting Khalsa. This decision is subject to an appeal. If there is no appeal, or the decision is upheld, Khalsa will travel to face Sholing FC on Saturday February 2. There is little satisfaction to be taken from progressing in this way. While Khalsa performed nothing like their best on the day, Godmanchester were undeniably the better side. Furthermore, Godmanchester were exceptional hosts and their fans brilliant. There is absolutely no suggestion this was anything other than an unfortunate and cruel oversight – a situation anybody who has been involved in football administration will appreciate. That said, Khalsa skipper Tes Robinson – arguably our most influential player – sat out the tie for the very same reason as the ineligible Rovers player should have and Lee Chilton also missed an earlier tie for collecting two bookings. Our preparations for what will be a very difficult game at Sholing now begin. Travel arrangements will be announced in due course. Finally, it means our scheduled home game on February 2 against Lye Town will be rearranged.